Approx. 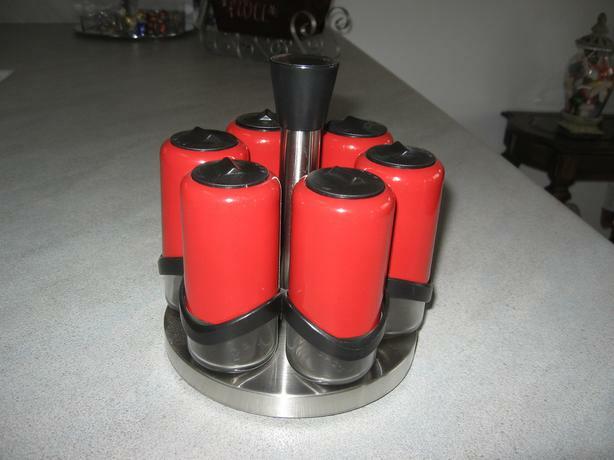 7.5 inches tall - Stainless steel base which swivels like a lazy susan with 6 glass spice bottles with bright red tops and black shaker tops. Each bottle is approx. 4.5 inches tall and approx. 2 inches wide.